The HIS-Process used to be available for free from the Automotive-HIS website. However, the website seems to be defunct a this point. But no worries: I saved it for you. 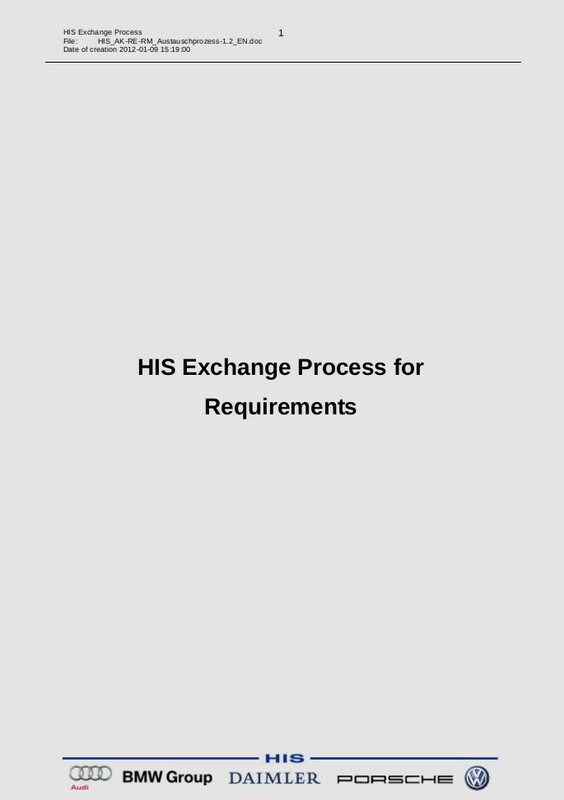 The process is a great startingpoint for developing your own requirements exchange processes. Also note the HIS Process FAQ.